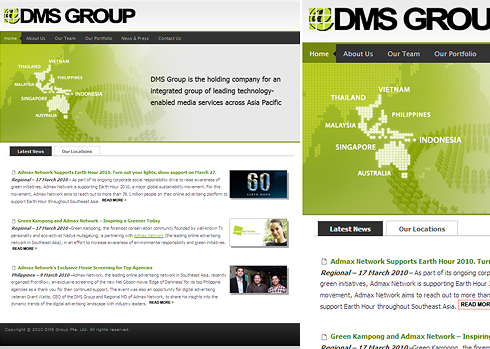 DIGITAL MARKETING SOLUTIONS NEW MEDIA CO. LTD.
DMS Group is the leading integrated digital media, advertising, and technology group in Southeast Asia with operations that encompass media sales & marketing; online advertising; mobile advertising; digital content production; content syndication; content aggregation and supporting technologies. DMS has three main business units: Admax Network, Syndacast and Media Plus. Admax Network is is Southeast Asia’s largest digital advertising network with offices in six countries and over 3200 brand-safe websites reaching 76.1 million users. Syndacast is a leading social media marketing company. Media Plus creates high-impact branded content experiences across SEA.